September 2015 was an historic month for Hope International University (HIU) and Nebraska Christian College (NC) as each took another important step toward becoming one institution. On September 11, the NC trustees voted unanimously to become part of HIU. Then, on September 25, HIU’s board of trustees also voted unanimously to proceed. The merger is pending approval from the Western Association of Schools and Colleges Senior College and University Commission (WSCUC), HIU’s regional accrediting association. 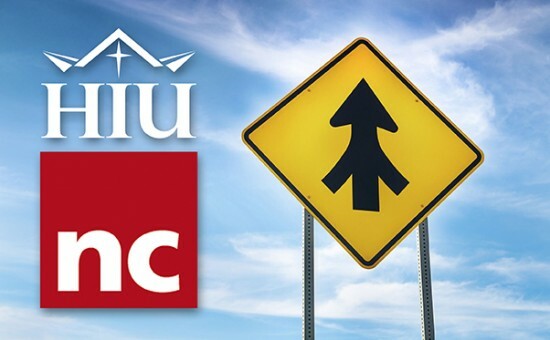 If all goes according to plan, NC will become a part of HIU sometime in 2016 and the task of integrating the two schools will begin. HIU President, Dr. John L. Derry, will assume leadership of the merged institutions. Exploratory Phase: This was the period of time for the schools to become better acquainted and to form an initial opinion on the concept of a merger. It was intentionally informal -- simply an opportunity to consider the current environment in higher education and whether or not such a move has merit and potential for success. During this phase, HIU and NCC determined there was value in taking the next step, and signed a non-binding Memorandum of Understanding to proceed with a more focused study. Analysis Phase: This was an extended period of due diligence to identify the benefits and risks of a merger. The intent was to gather information and to consider what would be the impact of such a venture. It required transparency and open communication on the part of all stakeholders. The goal at the conclusion of this phase was to have sufficient data and details to prepare a proposal and recommendations for the governing boards. Design Phase: Blending two institutions, each with its own organizational culture and unique set of characteristics, is a process that requires great care. Exactly how the new merged entity will be structured, managed, and operated must be clearly defined. Some preliminary concepts were necessary in the Analysis Phase; this third phase called for input from persons who have experience in restructuring organizations for greater efficiency and effectiveness. A consultant was engaged to assist in this intricate process. Having completed the Design Phase, HIU and NC now await approval from the regional accrediting body, WSCUC, before proceeding with the Integration Phase. The final phase is the most intense and takes much longer to fully implement. It is the most critical to long-term success and the most impactful on the day-to-day operation of the schools. As in the Design Phase, a professional consultant will work with the administration to ensure a smooth transition and to propose best practices.